With a UK general election due this May, domestic issues may well be to the forefront of argument but, at a time of international instability, it is important that foreign policy issues should not be neglected. I have just edited a collection of essays on Conservative foreign policy thinking and I would argue that consideration of the historical perspective should be used to inform current debates. The genesis of the book is an interest in ‘Deep History’, the long-term, seemingly inherent assumptions, the emotions of policy, that help create the context for the politics and calculations of the shorter term, the urgency of the moment. This idea has parallels in the study of structures and systems, both of which are of great interest not only to historians but to social scientists as a whole. For example, the concept of strategic culture, one increasingly influential since the 1970s, in work on international relations and military affairs, has an obvious relevance to the idea of ‘Deep History’. The Conservative Party has not only traditionally seen itself as a, indeed the, champion of the national interest, and indeed acted very much in this role. The Party has also, at several points in its history, been deeply divided, and sometimes convulsed, by different perspectives on Britain’s international orientation and by competing positions taken up within the Party on Europe, foreign and imperial policy. Apart from at times of serious division, underlying Tory/Conservative beliefs, and the more specific beliefs upon which views of Britain’s international role were built, were often just that: underlying, in other words assumed, and not explicitly articulated. Precisely because they were often taken as axiomatic, these views tend to be obscured from historical view. Yet, these views need to be recovered and reconsidered to understand Britain’s role in international affairs for over two centuries, how the Tories/Conservatives have sought to navigate their way through the difficult pathways of these affairs, and why a determination to take a major role has outlasted both Britain’s rapid decolonisation from 1947 and Britain’s relative economic decline. There has always been an interplay, for Conservatives and others, between, on the one hand, ideological or emotional views of policy, and, on the other, more instrumental views of policy. This interplay can have a strong historical dimension. Conversely, the ideological change can be centred, as with Margaret Thatcher, on allegedly distinctive Conservative ideas, rather than on historical legacy. The ‘national interest’ is a significant instance of the interplay between the instrumental and the ideological or emotional: at once being linked to the idea of policy as inherently prudential; yet, in reality, also being not a given, but, instead, a political construct. At the same time, far from there being a simple, causal relationship between the ideological and the instrumental, the structural and the ephemeral, there are other dimensions to policy (not least the role of geopolitical concerns) irrespective of the ideology and politics of the moment. In turn, the ideology and politics affect the understanding both of these dimensions and of the need to act. Foreign policy provides a means not only for the definition and maintenance of the national interest, but also for political advantage and the pursuit of power. Foreign policy offers an apparently ready measure for radically clashing suggestions about the competence of ministers and therefore an obvious point of vulnerability for attack by the opposition. Foreign policy also advances the opportunity, indeed need, for discussion about what is happening and, even more, might happen, supplemented by claims about the responsibility for unwelcome possibilities. As foreign policy thus links the present situation to the future, as well as to the past, it provides political parties, both governing and opposition, with a continuing narrative, and enables them to articulate and deploy the weight of history. Foreign policy occurs within a far broader political discourse and is a subject for adversarial politics and the pursuit of political advantage and power. In the case of the Tories and foreign policy, there is the attraction for those interested in ‘Deep History’, of the longevity of a political tendency, if not grouping or party, a longevity that is one of the themes of this volume. The Tory alignment came together during the Exclusion Crisis of 1679-82, in response to the crisis and partisan politics of the moment, and provided the basis of what, by the 1700s, was to be a coherent (if also) divided political party, operating in both Westminster and the constituencies. The Tory Party, the basis of its Conservative successor, thus has a ‘Deep History’ comparable to that of Britain. Some modern Conservative politicians have made interesting reaches deep into time. Thus, David Cameron, in a much-heralded Europe speech on 23 January 2013 about Britain’s relationship with Europe, went back to ‘Caesar’s legions’ (Julius Caesar’s invasions in 55 and 54 BC) to argue his well-based case that ‘We have helped to write European history, and Europe has helped write ours’. Both claims were well-founded. Very often, however, retrospective attempts to create a common British memory of earlier centuries have had to overcome inconvenient realities. It is also interesting to note how many current Conservative politicians have History degrees. Among politicians prominent in the early 2010s, this number included Oliver Letwin, David Lidington, Andrew Mitchell and Owen Paterson. Keith Simpson, a shadow Foreign Office minister who did not gain office in 2010, began, but did not finish, a PhD. He has exercised some influence as to what the Cabinet, especially George Osborne, reads. The number of those with History degrees is particularly notable for Cambridge products, as their Oxford counterparts tend to have done PPE. The consequences of this contrast may be instructive, but, as the nation’s politicians amply show, it is not necessary to study History in order to have a sense of its interest and relevance, nor to offer an historical account of national identity. what makes it worth celebrating is that it records England, historically, as on the side of liberty. Cate Blanchett is magnificent, and her speech when she rallies England’s defenders in the cause of freedom against the looming shadow of the Inquisition is a proper and straight interpretation of our past that accurately captures the ideological attachment to liberty which has been the defining factor in our distinctive progress over time. This remark reflects not just a sense of national exceptionalism that accorded with the Tory patriotism of the eighteenth century, but also the Conservative capture of a Whiggish progressivism. The combination reflects the difficulties of discerning a correspondence in policy across time, but also the ability of Conservatives to draw on varied aspects of the national past. Whether or not divisions over policy between political parties have been narrow, the aim in their rivalry has been to define their identity and to assert a rhetorical advantage. The Conservatives have been distinctive in their emphasis upon the nation state rather than any kind of ‘internationalism’. This is their ‘Deep History’. Jeremy Black is Professor of History at the University of Exeter. 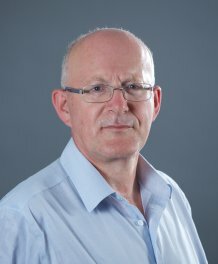 He is the author of over 100 books, especially on eighteenth-century British politics and international relations, and is or has been on a number of editorial boards including the Journal of Military History, the journal of the Royal United Services Institute, Media History, the International History Review, and History Today, and was editor of Archives. The Tory World: Deep History and the Tory Theme in British Foreign Policy, 1679-2014 is published by Ashgate. A.J. Johnston, Cultural Realism: Strategic Culture and Grand Strategy in Chinese History (Princeton, New Jersey, 1995); L. Sondhaus, Strategic Culture and Ways of War (London, 2006). E. Robinson, History, Heritage and Tradition in Contemporary British Politics: Past Politics and Present Histories (Manchester, 2012). Gove, ‘A drum roll, please. Britons are back as heroes at long last’, Times, 6 Nov. 2007, section 2, p. 8.